Return flights from Europe to Nampula, Northern Mozambique from €416! Up for a short trip to Singapore in June check out this amazing opportunity based on Scoot, low-cost long-haul airline and subsidiary of Singapore Airlines. For very limited travel options you can now book non-stop flights from Berlin to Singapore already for €175! Note that base fare does not include checked bag nor in-flight meals. (Available for additional €156). Even if you add this it is still great fare not to mention this is non-stop service. As mentioned at this moment very limited availability of the cheapest flights allowing only short trip to Singapore in June 2018. Scoot has recently introduced this new long-haul route, you will find some affordable fares also over summer holidays 2018..If you are looking for the cheapest option this is great option from Europe to various destinations in Asia as well as Australia. 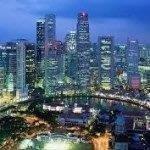 Booking sample of greatly discounted Low-cost non-stop flights from Berlin to Singapore from €175! You would depart from Germany to Singapore on 20th of June and return from South East Asia back to Europe on 29th of June 2018.